Pune district consumer disputes redressal forum has directed a developer from Viman Nagar to refund Rs 5 lakh, along with Rs 25,000 compensation, to a complainant for deficiency in service. The forum held that the builder was liable for deficiency in service for not having started the construction of a residential project as per the schedule promised to the complainant, who had booked a flat in the scheme, and not returning the Rs 5 lakh booking amount. A K Singh, proprietor of Krishna Properties and Krishna Developers, must return Rs 5 lakh and pay Rs 25,000 as compensation to complainant Subhas Das within six weeks from October 29 when the order was issued by the forum. Das had booked a flat in December 2012 in the `Vridavan' apartment scheme. Between December 6, 2012 and January 4, 2013, Das issued five cheques to the builder, who assured him that construction would begin in January-February 2013. The cheques were of varying amounts, totalling Rs 5 lakh The construction work, however, did not begin as per schedule and Das started pursuing the matter with Singh. The latter kept evading Das, who then asked for the refund. On October 14, 2013, the builder issued a cheque of Rs 5 lakh but it was returned by the bank due to insufficient balance. 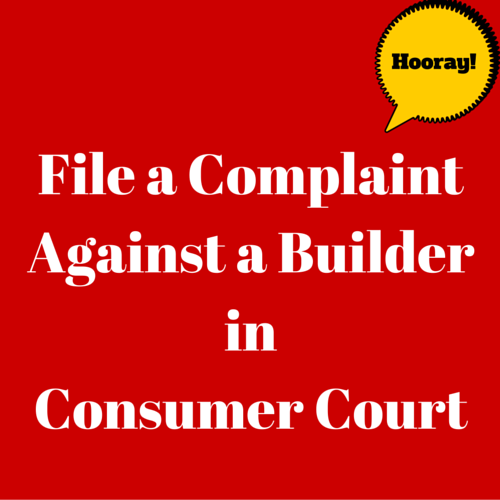 Later, Das moved the consumer court by filing a complaint alleging deficient service that resulted in mental and physical agony. He not only demanded Rs 5 lakh refund with interest at 24% pa but also demanded Rs 10 lakh compensation towards physical and mental agony . 4) Bhujbal Brothers & Vatika at Balewadi Pune - Share Your Experience - First Time Home Buyers Can Learn a Lot from Your Experience! How are home loans being given by banks going up? Should I invest on Porwal Road in Lohegaon?